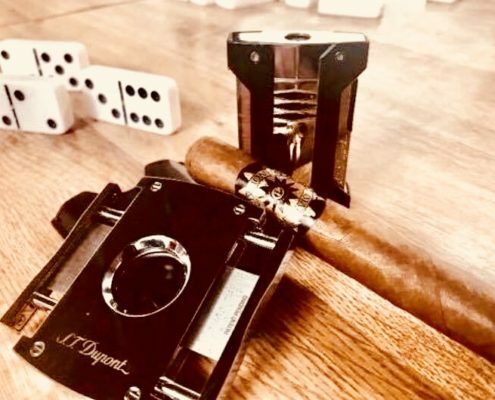 At OC Cigar Lounge, it is our utmost responsibility to present the best possible shopping and smoking environment, one that will keep our patrons coming back to our store and lounge time and time again. Below you’ll find a list of all our policies. If you can’t find the information you’re looking for – please don’t hesitate to contact us today! You must be 18 years of age or older to enter our store, lounge, or humidor. We will I.D. We require an employee to accompany all customers into the humidor. Our restrooms are for the use of our employees and customers only. If you have questions, comments or concerns during your visit, we encourage you to seek store employee attention or contact us so we can make it right! We offer monthly and yearly lounge memberships with lockers, please enquire within.